Is a wedding even a wedding if there aren’t flowers everywhere? Flowers truly are the ultimate accessories for your big day, injecting natural beauty, colour and fragrance into your venue, outfit and décor. 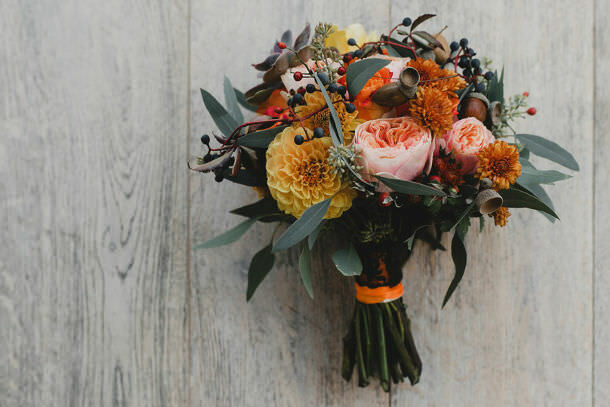 However, there is a time and a place for everything and it goes without saying that each season has its own palette of flowers that can be used to make the most of tying the knot at that particular time of the year. So before you blow your flower budget on the first thing that catches your eye, check out our advice on how to perfectly match your wedding flowers with your wedding date. 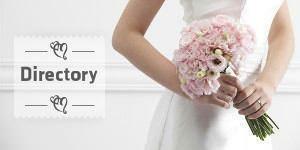 For a spring wedding you are going to want flowers in pastel tones that compliment the connotations of springtime. Bouvardias in a soft peach colour, lilies and forget-me-nots are all stunning choices to have at your wedding. Alternatively, you could opt for the timeless daffodil – the ultimate representation of spring – or some pale pink and white roses. Summer weddings require something a little bolder to compliment the sunshine and blue skies (fingers crossed) that preside over your big day. Bright colours are a must and can be found with the coral-coloured amaryllis, chrysanthemums and dahlias. For something simple yet exquisite, a bouquet dotted with giant daisies is always a winner. Bright pinks, reds, oranges and yellows are your friends during this sultry time of the year. Autumn is arguably one of the most beautiful times of the year to get married. As the leaves change colour and start to fall the air becomes crisp and the magic of fall settles all around. Russet, orange, burgundy and yellow are ideal colours to match this time of the year. 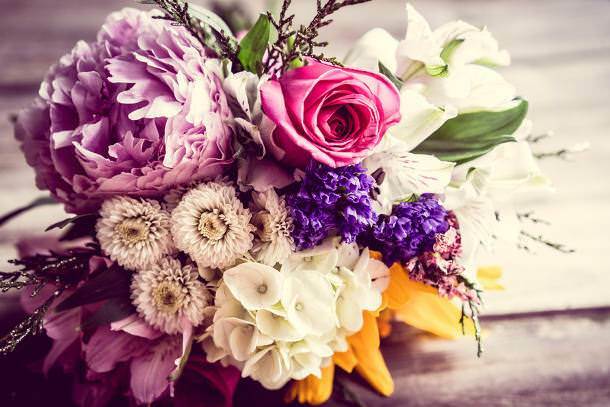 Try creating a bouquet that includes chrysanthemums, coxcombs and burgundy peonies. 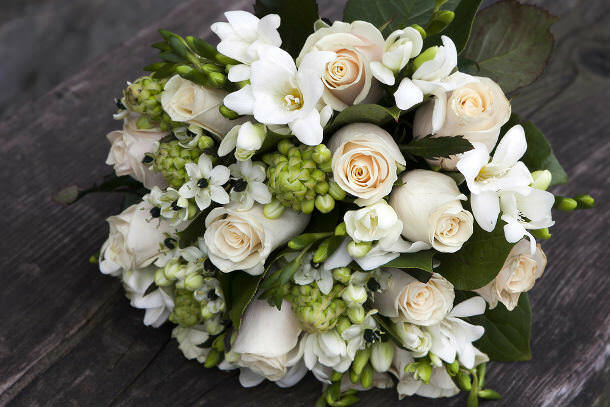 If the colours seem too dark, lighten them up with a couple of ivory tuberoses. Winter weddings usually follow a very simple colour theme with pure whites and maybe a splash of blue, pink or purple here and there. With this in mind, a bouquet of white lilies is the height of elegance, especially when complimented with some camellias in a light pink hue. 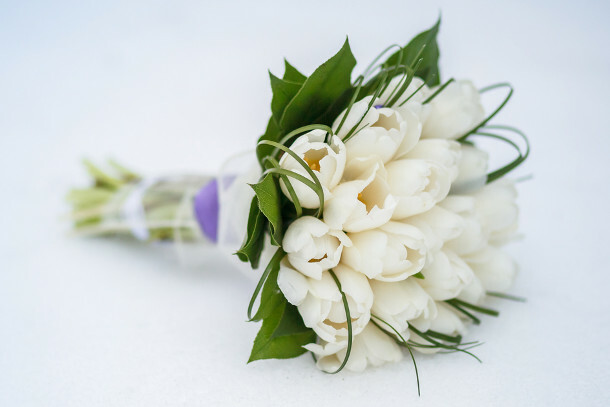 You certainly won’t regret keeping it simple when it comes to your winter wedding flower selection. Flowers truly are the ultimate accessories for your big day, injecting natural beauty, colour and fragrance into your venue, outfit and décor.